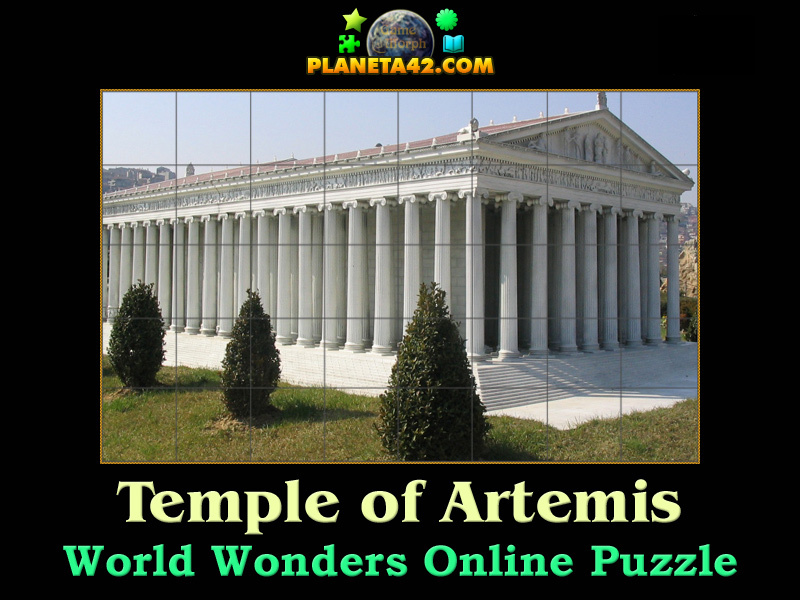 Temple of Artemis world wonder in a fun online history puzzle. "Temple of Artemis Puzzle" is a fun square rotating puzzle to sort 40 squares puzzle of the Temple of Artemis wonder of the world. Fun online history puzzles for desktop computers, laptops and tablets, which may be played in the web browser. Wonders of the world game. How to play Temple of Artemis Puzzle. This is a common square rotating puzzle. 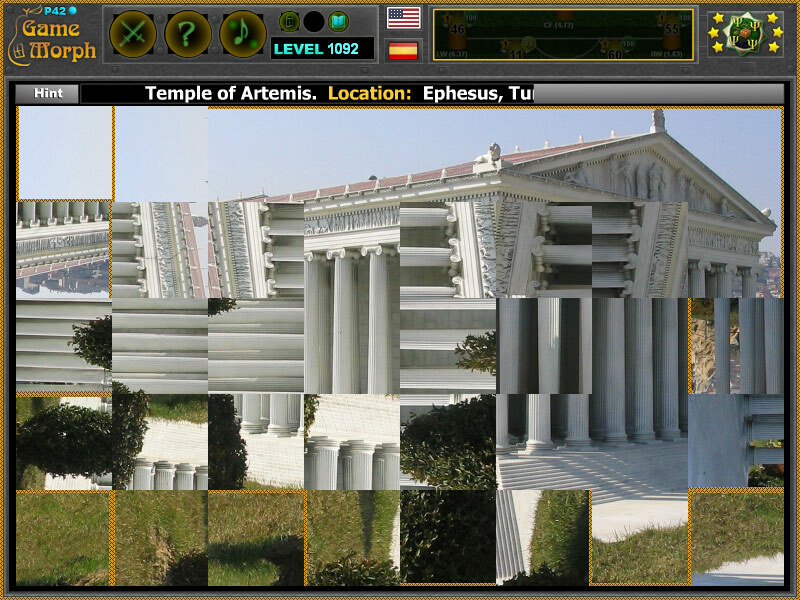 Click on the puzzle pieces to rotate them, while they fit the original picture of the Temple of Artemis. Use the "hint" button to see which pieces left. This model of the Temple of Artemis, at Miniaturk Park, Istanbul, Turkey, attempts to recreate the probable appearance of the first temple. Class subject: The Temple of Artemis. From Wikipedia: The Temple of Artemis or Artemision, also known less precisely as the Temple of Diana, was a Greek temple dedicated to an ancient, local form of the goddess Artemis. It was located in Ephesus (near the modern town of Selcuk in present-day Turkey). It was completely rebuilt three times, and in its final form was one of the Seven Wonders of the Ancient World. By 401 AD it had been ruined or destroyed. Only foundations and fragments of the last temple remain at the site. The earliest version of the temple (a temenos) antedated the Ionic immigration by many years, and dates to the Bronze Age. Callimachus, in his Hymn to Artemis, attributed it to the Amazons. In the 7th century BC, it was destroyed by a flood. Its reconstruction, in more grandiose form, began around 550 BC, under the Cretan architect Chersiphron and his son Metagenes. The project was funded by Croesus of Lydia, and took 10 years to complete. This version of the temple was destroyed in 356 BC by Herostratus in an act of arson. The next, greatest and last form of the temple, funded by the Ephesians themselves, is described in Antipater of Sidon's list of the world's Seven Wonders.